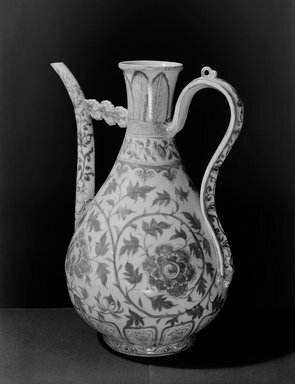 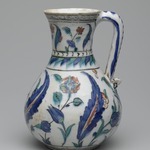 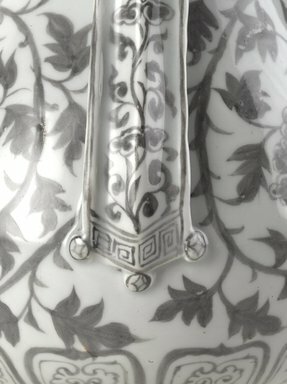 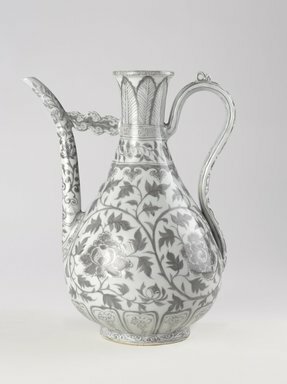 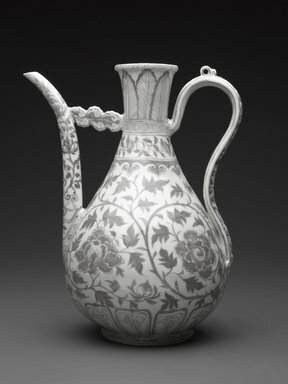 As suggested by this ewer decorated with peony scrolls and plantain leaves, East-West cross-pollination of motifs and styles often fueled the production of luxury objects for foreign markets. 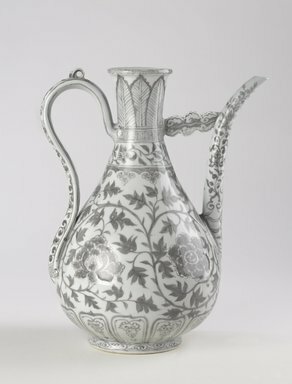 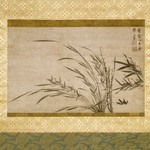 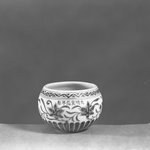 While the plant motifs are distinctly Chinese in conception, the scrolling pattern was also common in Islamic art, and the shape is modeled on Near Eastern metal prototypes. 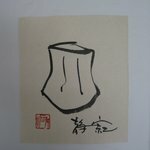 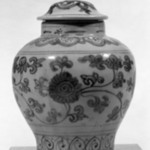 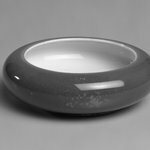 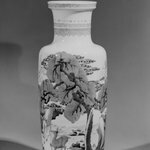 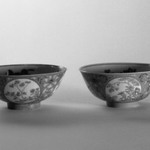 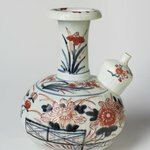 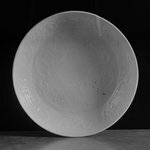 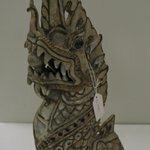 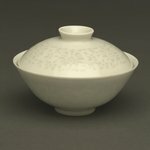 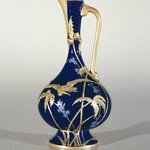 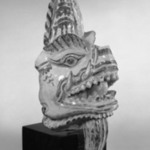 After the Mongols conquered Song-ruled China from the north in 1279, taking control of porcelain kilns at Jingdezhen, artisans there attempted to produce underglaze red wares in addition to the blue and white; however, the copper-based red was difficult to control, and slight changes in kiln temperature or atmosphere often produced the gray color seen on this vessel. 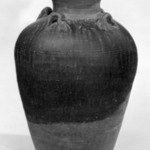 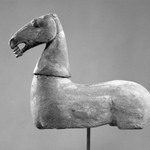 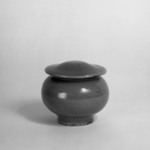 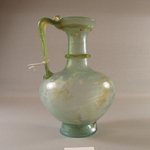 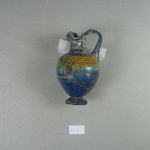 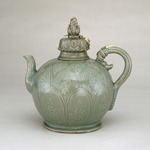 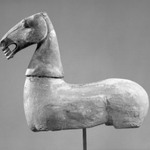 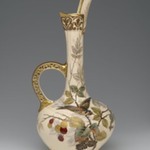 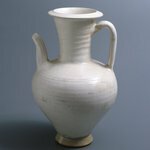 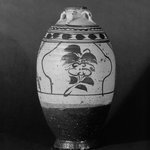 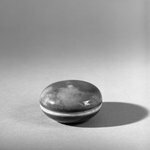 CATALOGUE DESCRIPTION Lipped mouth; constricted neck; gall-bladder shaped belly; circular foot; long spout; neck and spout has a linked cloud-shaped piece; curved handle; cover has a small knob; below handle is pattern of 3 coins. 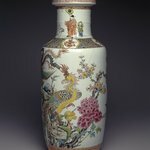 Copper-red underglaze painting: 1. fret-scroll (hui wen); 2. banana leaf pattern; 3. fret-scroll (hui wen); 4. interlocking camellia; 5. cloud head scrolls on shoulders; 6. interlocking peony flowers; 7. changing lotus petals pattern; 8. curving grass pattern. 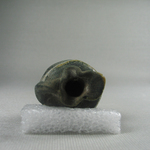 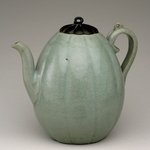 Besides unglazed lower sections of circular foot, slight blue-green clear glaze on entire vessel. 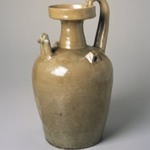 Daily used ware. 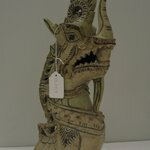 Condition: Basically intact. 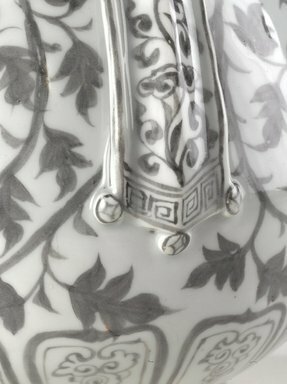 Repaired spout.